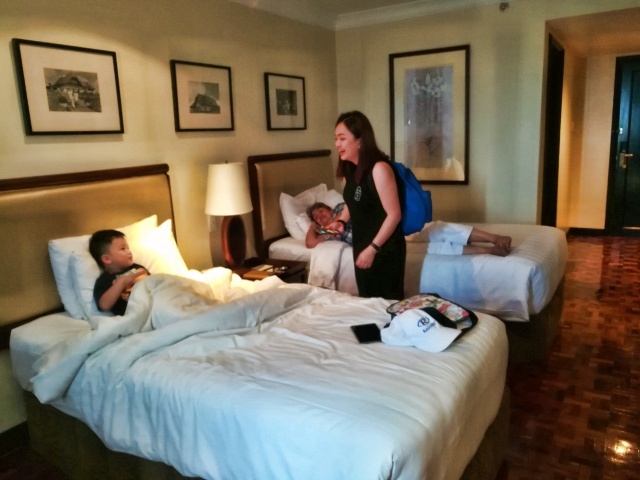 It has always been my dream to take my family on a staycation, but I never got around to doing it until last summer when I took them to Taal Vista Hotel in Tagaytay. 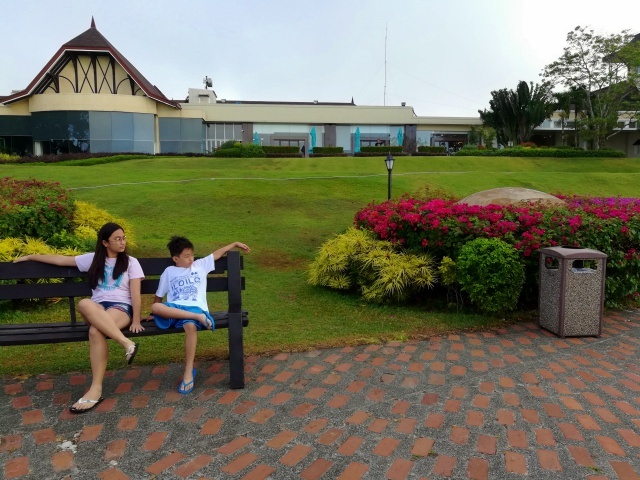 Taal Vista is a hotel that I have known since I was a child. We used to go there to get a good view of Taal Volcano. I’ve even had lunch there a couple of times before. Despite the frequent visits, my family and I have never stayed there until last April. 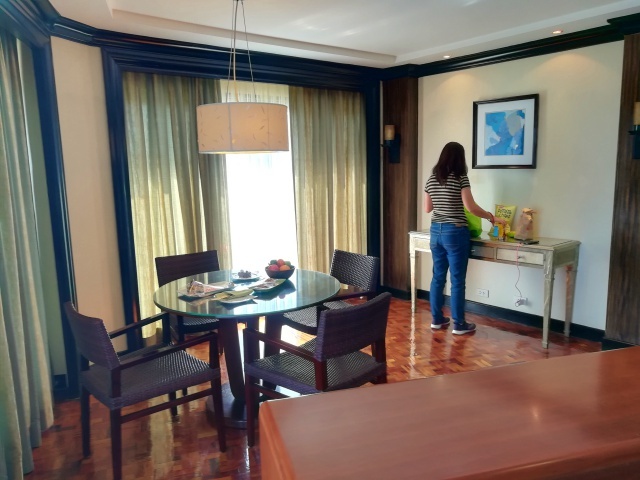 We were a big group and my mother didn’t want us to have separate rooms, so I decided to book one of their suites, the Taal Suite. First thing I noticed about booking the suite was that there were not enough photos to give me an idea of what it looked like. There were no reviews on the suite online either. I was a little hesitant about the booking but decided to take the risk anyway since it was just an overnight stay. Booking was easy. All I had to do was send an email telling them how many we were and asked what they could recommend to me. 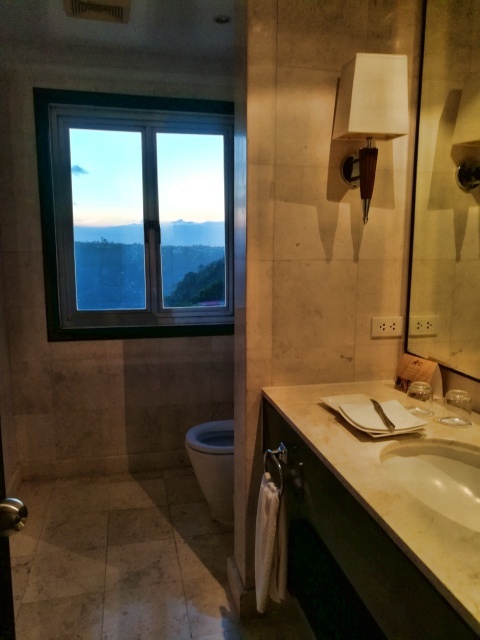 I received options to choose from and ended up with the Taal Suite, which is in the Mountain Wing of the hotel. I arranged for a cake to be placed in the room when we got there, since we were there to celebrate my niece’s birthday. They gave us a map of the area, very useful! When we got to the hotel, there were a lot of guests checking in and we ended up getting to our room past the usual time (2PM). Thankfully, we were given the opportunity for a late checkout the following day, which more than made up for the time we spent waiting at the lobby. The Taal Suite was basically three rooms: two regular rooms that surrounded and connected to a third room that served as a living room and dining area. 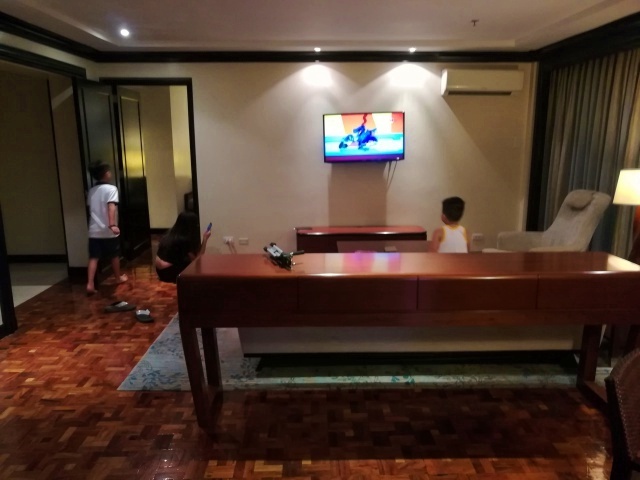 It was perfect for my family, especially for the kids because they had a lot of room to roam around instead of staying in their rooms. 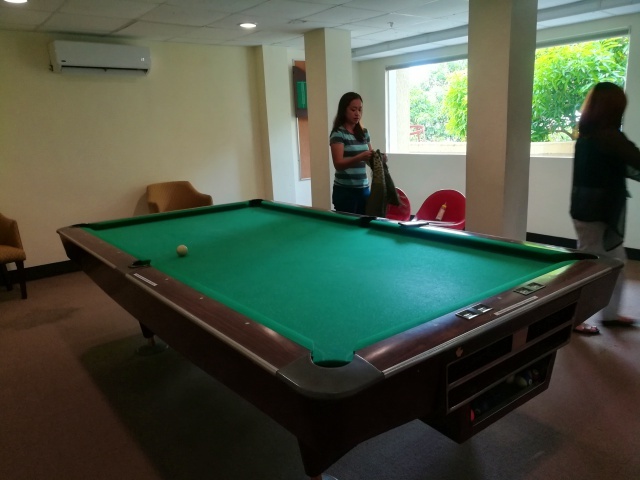 There were so many things that I enjoyed about our stay at Taal Vista. For one, it was near Sky Ranch. There was even a pathway that led directly to the amusement park without going out to the highway. We also got our tickets at the reception area, which was more convenient than going in line at Sky Ranch itself. 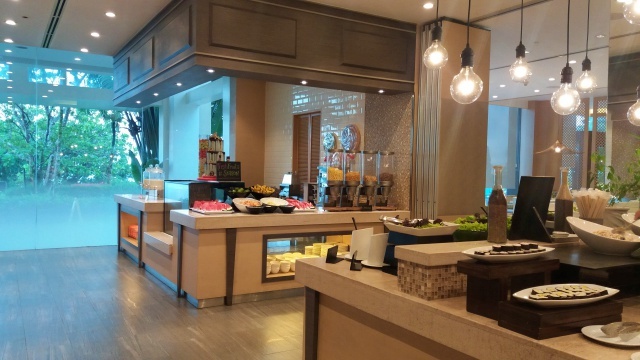 We were near other restaurants and fast food places so there was a lot to choose from during our stay aside from hotel room service. 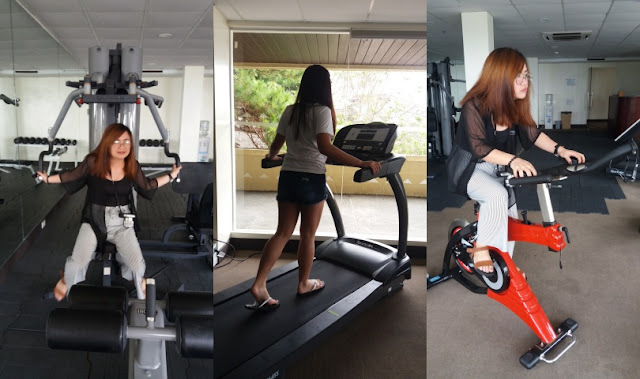 Another plus with the hotel was that they had a lot of things that guests could do within the hotel itself. 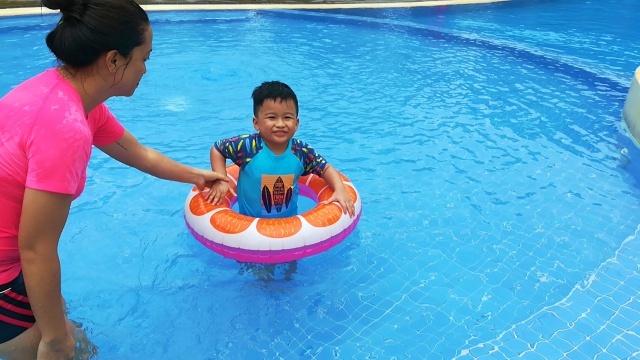 Aside from the restaurant with the Filipino folk-dance performances and the great viewing deck to look at Taal Volcano from, the hotel also had a pool, spa, gym, game room and a playroom for kids. 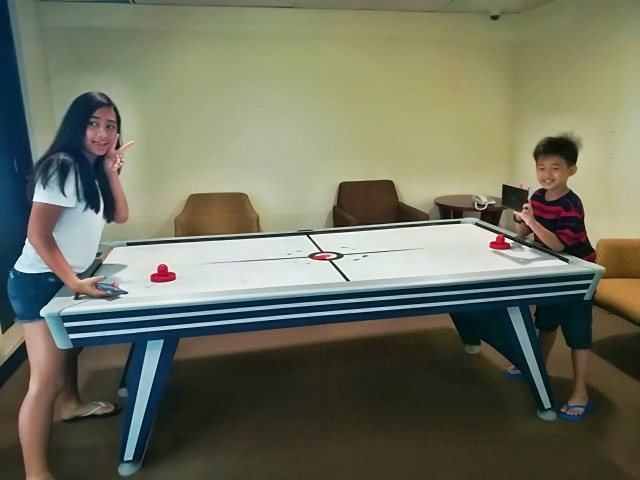 OK, I must admit the gym, game room and playroom probably need some renovation, but they were still good features of the hotel that we made use of. At the viewing deck area. The rooms were all very comfortable and clean. The toilet at the middle/living room area could use some curtains because you were in full view of anyone looking at the window when you needed to use it. 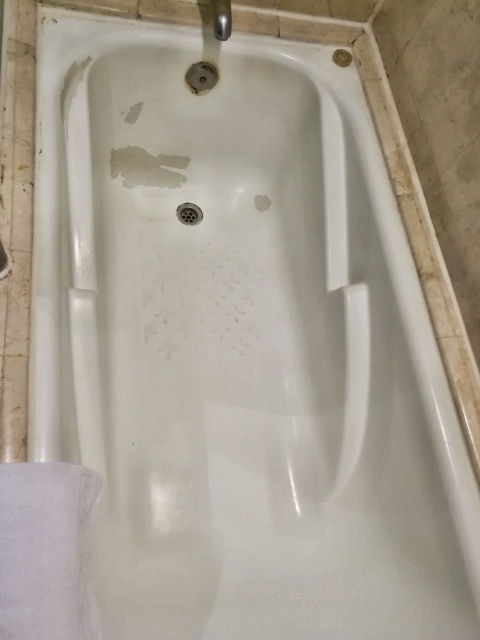 One of the bathtubs could also use a replacement because it was a bit cracked. Room service, on the other hand, was very efficient and the food was so good. Wish I could have tried more but by the time we got around ordering room service only three of us were awake, so we didn’t want to order too much and waste the food. 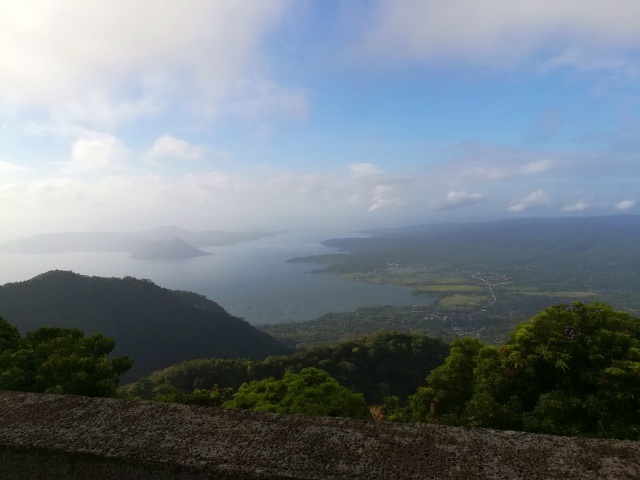 Our stay at Taal Vista was pricey and was way beyond my budget but – barring some of the improvements I suggested – it was worth the money. In fact, I am thinking of saving up for another stay with the family. Hopefully a longer stay next time around. I think that one of the assets of this hotel is their staff. 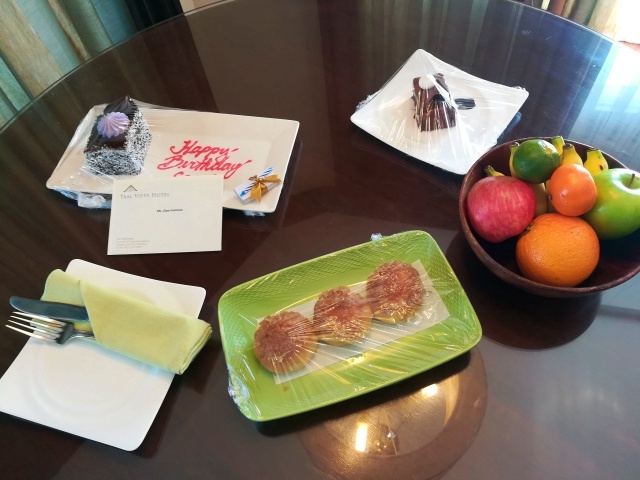 I cannot say how much I have appreciated how everyone just went above and beyond to make our stay comfortable. 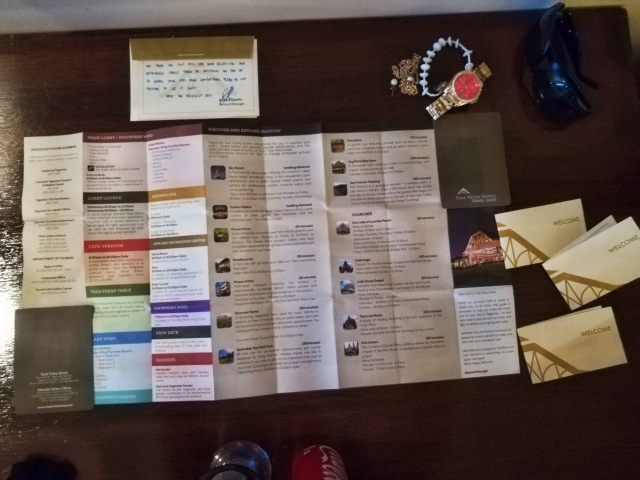 From the bellhop who helped us follow up the availability of our room when we checked in to the security who saw us crossing the street from McDonald’s with more food than we could carry and helped us by bringing everything to our room for us, everything was just much appreciated. We have stayed in another hotel after this particular stay and the service just does not compare to what we experienced here. 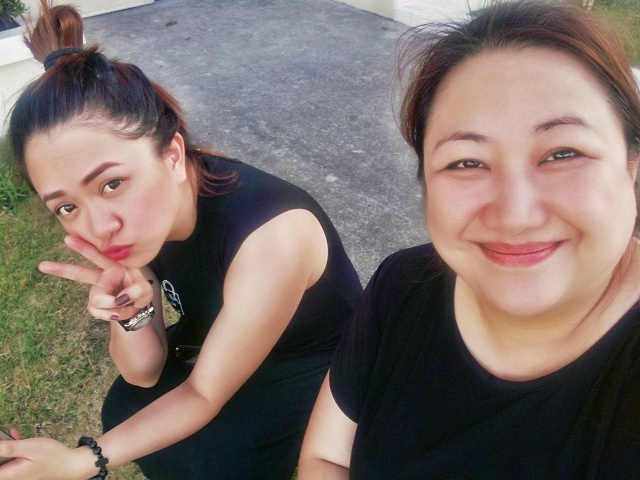 Case in point: we were at the gate of the hotel connected to Sky Ranch when my niece realized that she lost her mobile phone. We were all panicking and the hotel security immediately asked us where my niece last saw her phone and radioed Sky Ranch security to check. They then accompanied my niece, who (thankfully), was able to retrieve her phone from the last ride we were in. 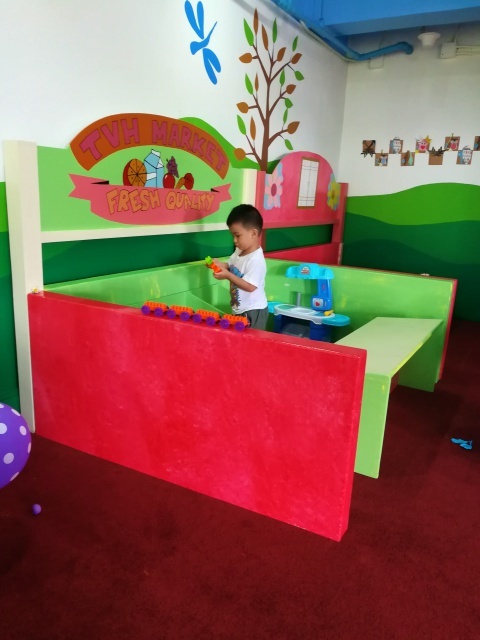 The quick response and assistance was something we didn’t expect, and I know my niece will never forget that experience (since she had just received that phone for her birthday). Waiting for security to retrieve my niece's phone. What else is there to say? 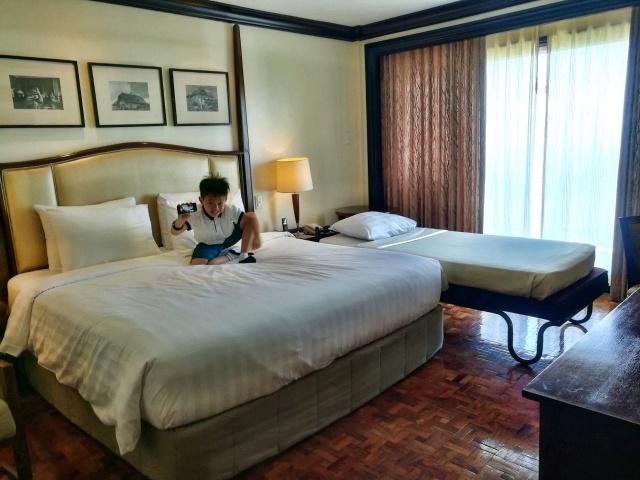 I loved our stay at Taal Vista Hotel. We will be back for sure for a longer stay.